It’s crazy to do the math and realize that it had been over a month that we returned from Tanzania and our boat has not moved from the dock. 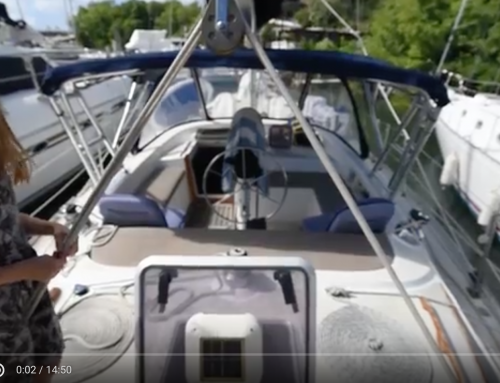 We have been really busy with projects on our boat and others’, and the lack of certain things on our boat, like an anchor chain or a generator, were holding us back. But yesterday we threw off those docks lines and it felt really good. There has been barely any wind lately, not a ripple on the water, but that wasn’t going to hold us back from showing our guest Jeff around some of the islands. Off we went with the plan to stop real close by in Christmas Cove, USVI to clean our boat bottom. However the motor-sailing was so beautiful that we decided to just keep going! 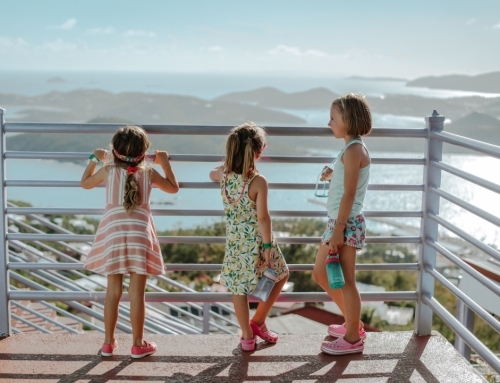 We headed to one of our favorite spots in the USVI, Maho Bay. There is something special about Maho. 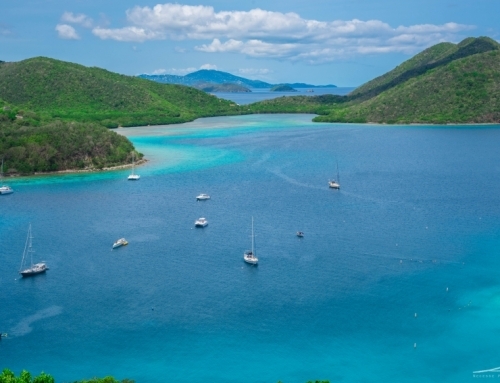 It’s grandeur, its beauty, the palm trees, the protected bays, the stretched out beaches, and the clear blue water. As soon as we were moored our little mermaids were asking to go snorkelling. Off we went, the five of us and a floatie in case Ellia got tired. We spotted a couple small stingrays, a turtle, two remora, some conch, and a bunch of little fish. After the snorkelling we spent another hour in the water just jumping off the back of the boat, paddle boarding, and splashing around. All giggles while drying off in the sun. Being back out on the water has been good for all our souls. 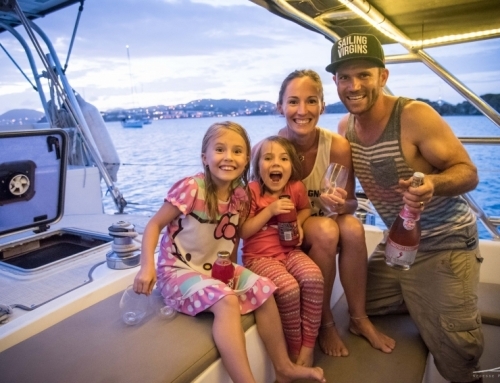 Getting slowly rocked to sleep, listening to the water lap against our dinghy, and having the fresh ocean breeze coming through the hatches, were things that were long overdue.